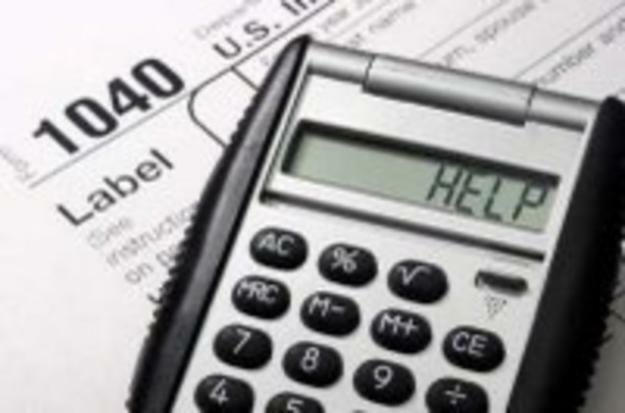 An IRS Tax Audit can be one of the scariest situations a person or business can face. Often times the IRS has a distinct advantage because the average person doesn’t know enough tax law to defend him/herself against an audit. This tutorial is designed to help level that playing field. Also check out the links at the right for more help and information. For most persons fighting a tax audit, the best news in the new law is that Tax Court’s Small Case Division isn’t just for “small” cases anymore, it can now hear disputes involving as much as $50,000 of tax and penalties (up from $10,000) excluding interest. The limit applies per tax year, therefore if the IRS assesses tax for more than one tax year, it is multiplied. The IRS examines three years of your past tax returns and assesses $40,000 of tax and penalties on each. You can contest your full $120,000 tax bill, plus interest that the IRS has added, which may be many thousands of dollars more, as a Small Case (S case). If the tax disputed for a year exceeds the $50,000 limit, you can concede the excess to get under the limit. You may well come out ahead on what you save on attorney’s fees alone. The reality now is that the great majority of all audit disputes involving individuals and small businesses can qualify as S cases. No attorneys are needed, but you can use one if you want. The procedural rules of formal court cases are waived, the parties just sit and talk to the judge. The formal rules of evidence are waived, you can tell your story to the judge as you want. The Tax Court judge travels to a city near you to hear the case. An entire hearing may take as little as 30 minutes, avoiding the prolonged disputes that formal court cases can turn into. The only cost is a $60 filing fee. Many tax professionals have observed that judges are often more sympathetic toward taxpayers who represent themselves in S cases than those who are represented by high-priced lawyers in formal cases. The only real drawback of filing an S case is that if you lose, you can’t appeal to a higher court. The new S case rules do more than just help you in court, they also help you from the first day that you meet with an IRS auditor. Until now, taxpayers and their tax advisers usually have handled audits settling for the best deal they could get from the IRS, because of the time and trouble of going to court. But bringing an S case to Tax Court is almost free. So now there’s no need to feel “beaten” into a settlement that you think is wrong. It’s now a perfectly viable audit tactic to say “write me up, I’ll see you in Tax Court!” Auditors don’t like to have their cases go to court. Their job performance is evaluated in part by how quickly they close their assigned cases, so they’d rather not have a court contest. Thus, an auditor’s knowledge that you are willing to go to court may improve your bargaining position with the auditor regarding disputed items on your return. You’ll get another chance to voluntarily settle your case with an IRS agent other than the auditor if you file an S case. Whenever a case is filed in Tax Court, an IRS Appeals Officer or attorney will have a pretrial meeting with you to review the facts and see what they can agree on. In this meeting, you have a chance to present your side of the case to someone senior to the auditor, one who will consider the cost and risk to the IRS of litigation, and has the authority to settle. In fact, about 90% of filed S cases are settled before trial. The filing must be made within 90 days after the mailing date of a deficiency notice, or the chance to go to Tax Court is forfeited. 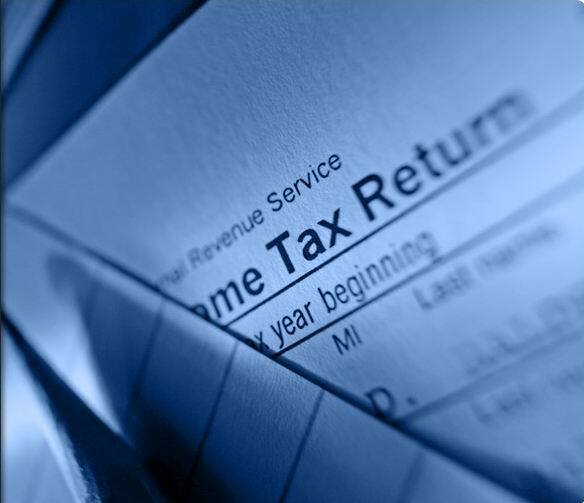 Low IRS audit rates do not mean that your tax return will avoid IRS scrutiny. The IRS officially audited only 1.67% of all personal tax returns in 1997, the most recent year for which numbers are available. But in reality, on most tax returns 100% of the income and most of the deductions are checked by IRS computers through the IRS’s information return matching program. IRS computers now check the numbers reported for 29 different kinds of income (that includes income from all 1099 forms), and your deductions of state taxes, real estate taxes, and mortgage interest. IRS computers also check your dependency exemptions, both SSA numbers and there matching names. And if the dependent was claimed by someone else or filed a return themselves. To the extent that your income and deductions fall into these categories, 100% of them are examined whether you are audited or not. Audit Facts that the IRS Doesn’t Want You to Know! The odds of a “real” audit are much lower than the IRS would have you believe. By “real” I mean an audit at IRS headquarters during which you sit across the desk from a revenue agent. Official government statistics show an IRS audit rate of 1.6%. But that figure includes what the IRS calls correspondence audits, which make up more than half of all audits done in a given year. Correspondence audits are handled completely by mail. The IRS simply asks you to mail in proof for an item they have questioned. IRS audit technology is in a shambles. Recently, IRS officials revealed that they had wasted $4 billion trying to update their data processing systems. Despite this outlay, the IRS’s computer software is woefully outmoded. This can be a blessing for taxpayers who are audited. While the examining agent can call up your current return on the computer screen, he/she won’t get a clue from the computer about what you filed in previous years. The IRS can retrieve–by hand-an original return you filed in the past, but it will take at least 60 days to dig it up and maybe much longer. If an IRS auditor asks you for a copy of an old return and you can’t easily locate it, let the IRS find the original. Your audit can proceed while they look–it may even be completed before the auditor gets a copy of the old return. Important technological exception: The IRS’s document matching program is first-rate. If you fail to include even the smallest amount of income reported by payers to the IRS, you’ll get a computer-generated notice. Be diligent about reporting all of your income. Report it accurately, in the right place on your return, with the correct name of the payer, etc. ate figures for which you haven’t kept records. Such as when the IRS needs to know the tax cost (basis) of property to verify your calculation of capital gains, real estate depreciation, oil and gas depletion, loss carry forwards, etc. If you haven’t kept paper proof, make estimates of your tax cost based on your best efforts to put the facts together. Don’t fabricate numbers, however. Be sure you have a rationale to justify your estimates if you’re ever questioned. Low-skilled IRS personnel are in charge of correspondence audits. Typically, these people are clerks who have received only rudimentary training from the IRS. They make mistakes. You should know that you can beat the IRS on an issue provoked by a correspondence audit if the facts are on your side and you can prove them. Never automatically pay a bill produced by a correspondence audit. Check the “auditor’s” facts and figures. Tax auditors handling “office audits” (those generally done in an IRS office) work from “kits” provided by the IRS. The auditors who perform these audits tend to be savvier than those working on correspondence audits, but they’re certainly not “tax professionals.” Typically, they work from a manual covering one area of the tax law (such as charitable contributions or medical expenses) and they go by the book. Here again, they often make mistakes and you can sustain your deductions if the facts are on your side. Beware of dirty tricks: The Internal Revenue Manual actually suggests that auditors pause during office audits, encouraging taxpayers to fill in the silence with – they hope – unintended disclosures. Don’t fall for this scripted silent treatment. Keep your mouth shut. Never ever volunteer information to a tax auditor, no matter how innocuous it seems. Warning: IRS revenue (field) agents are, in fact, genuine tax professionals. They’re the ones who come to your home or business to do an audit. Many revenue agents have had extensive experience in private industry prior to joining the IRS. If you’re subject to a field audit, be sure to hire your own tax professional to represent you.